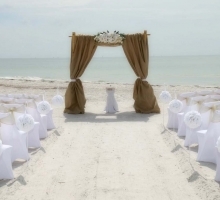 Your footpath to destiny, with golden sand and the sea as a backdrop, the aisle is truly an experience to be savored and enjoyed. 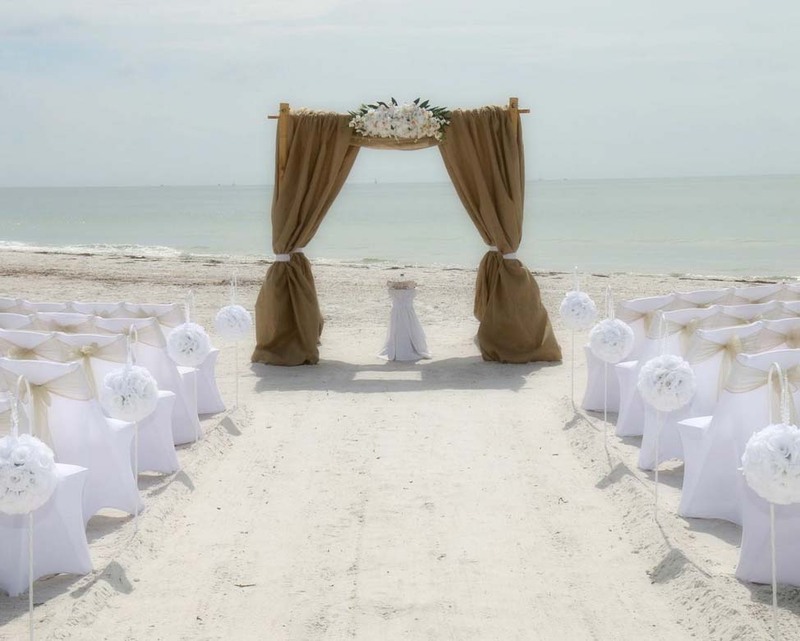 If you are lucky enough to be escorted down the aisle, or if you walk alone, let the aisle lead you to your partner as an integral part of your service. 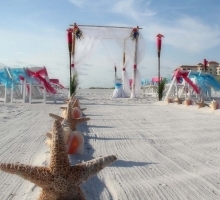 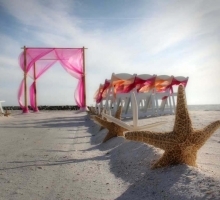 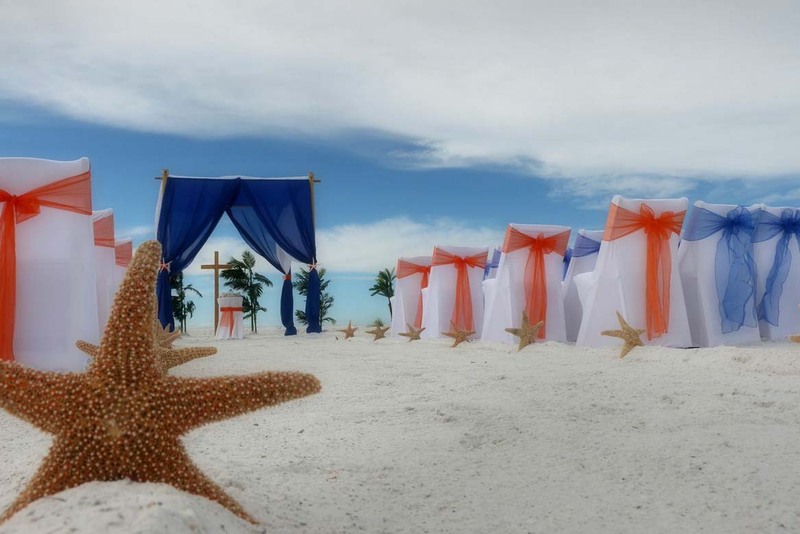 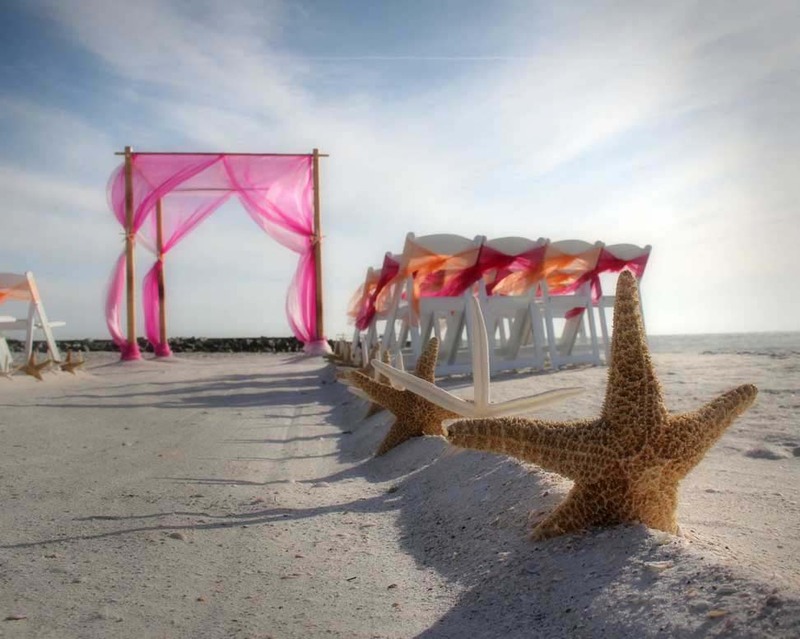 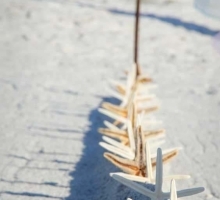 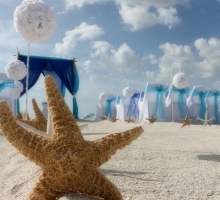 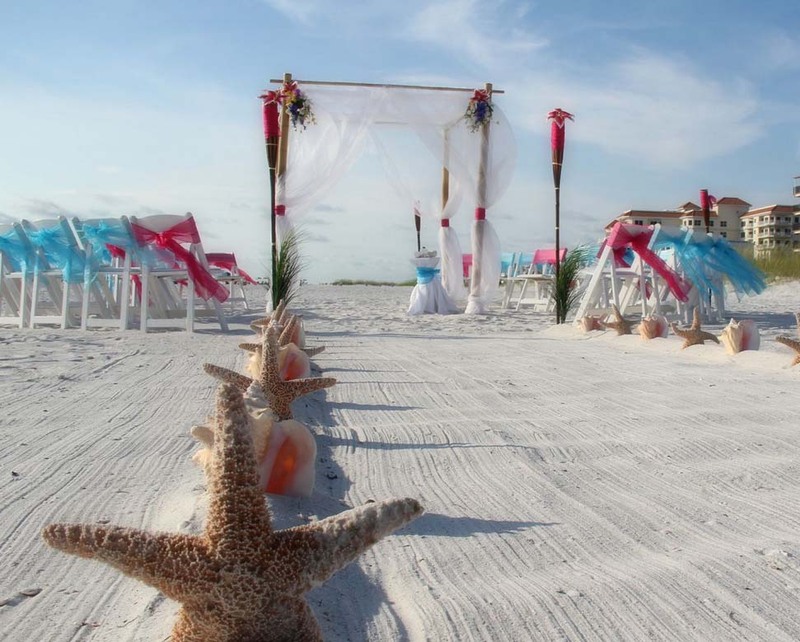 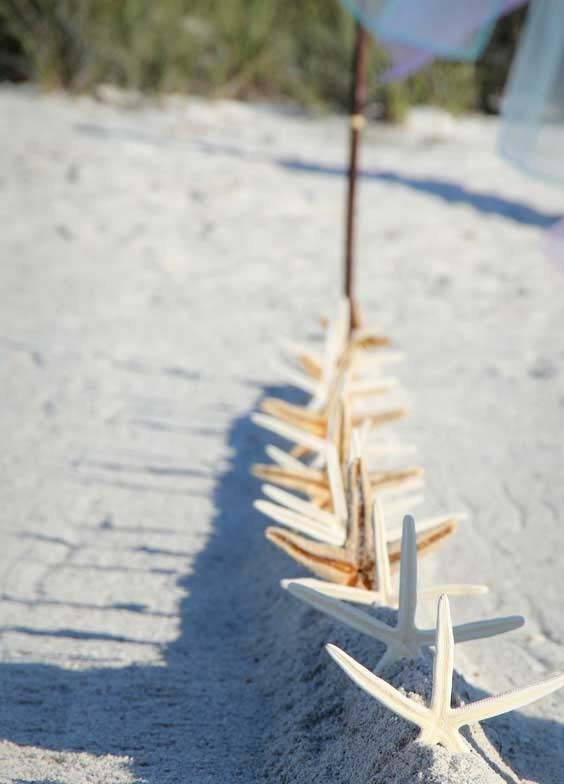 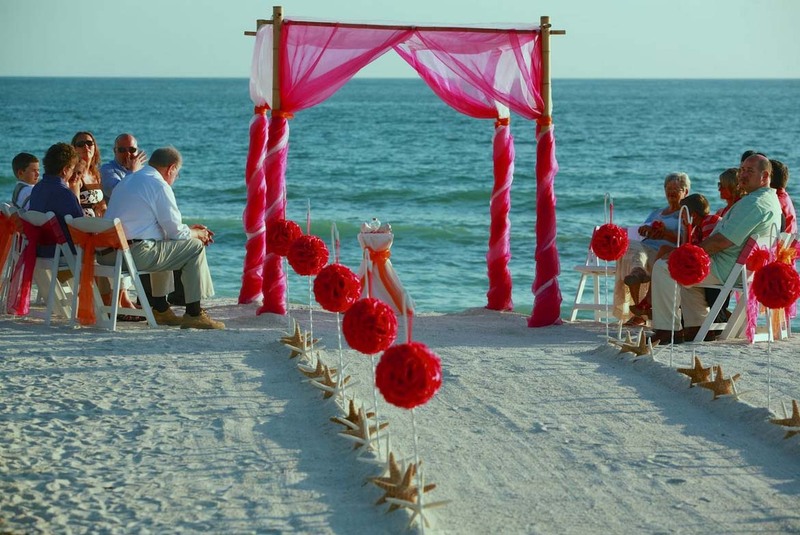 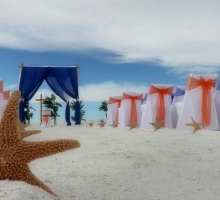 Decorate your aisle to suit your particular taste - walk across a pathway of fresh rose petals or line the aisle with starfish or shells, the choice is yours. 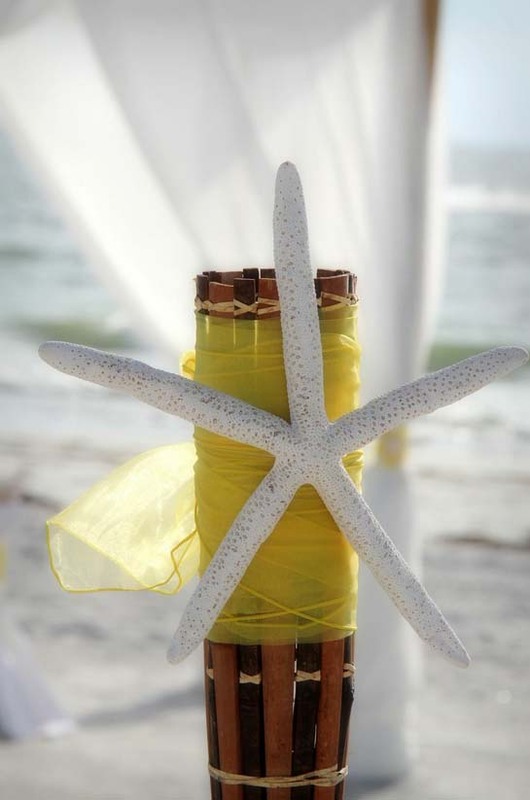 Let pomanders or tikis guide the way - there is no right or wrong - we'll create the 'look' you want. 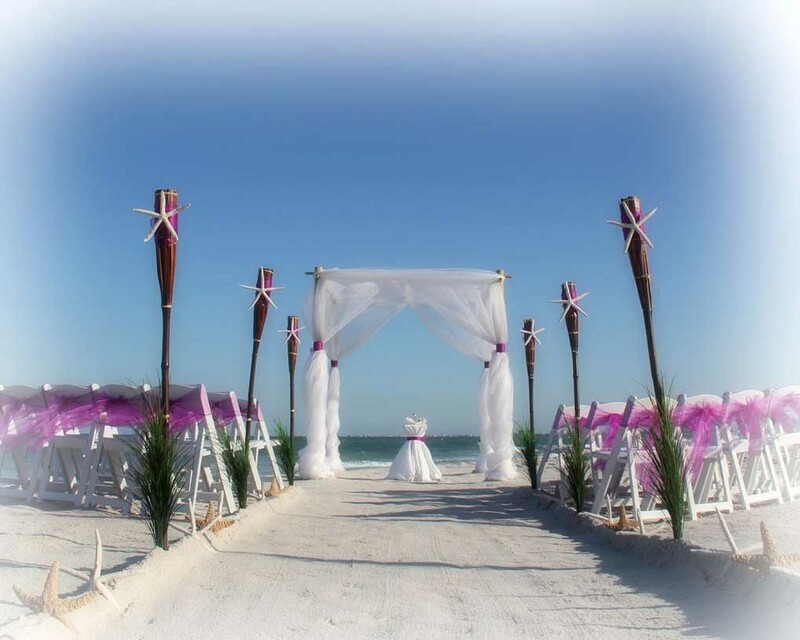 If a dramatic 'sweeping aisle' is your dream then we'll make it happen. 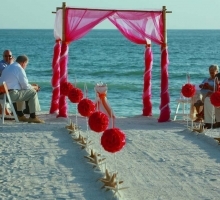 If you want to think out of the box, how about a spiral aisle where you pass by each of your guests? 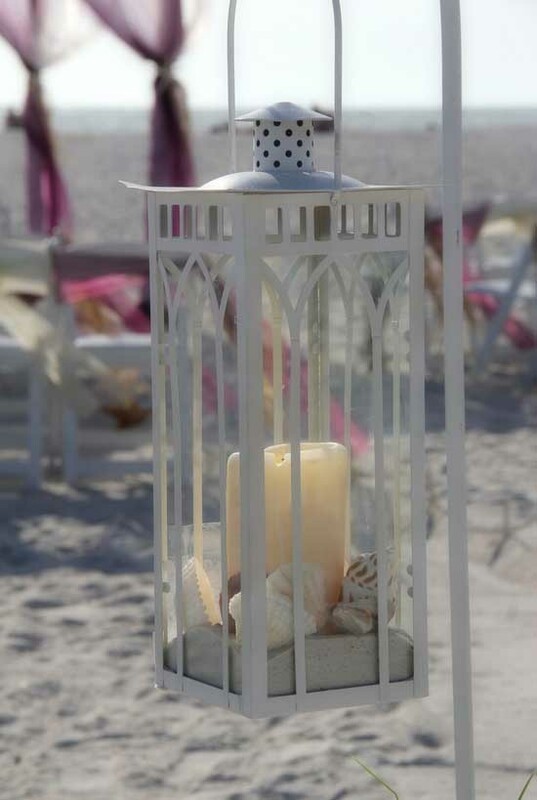 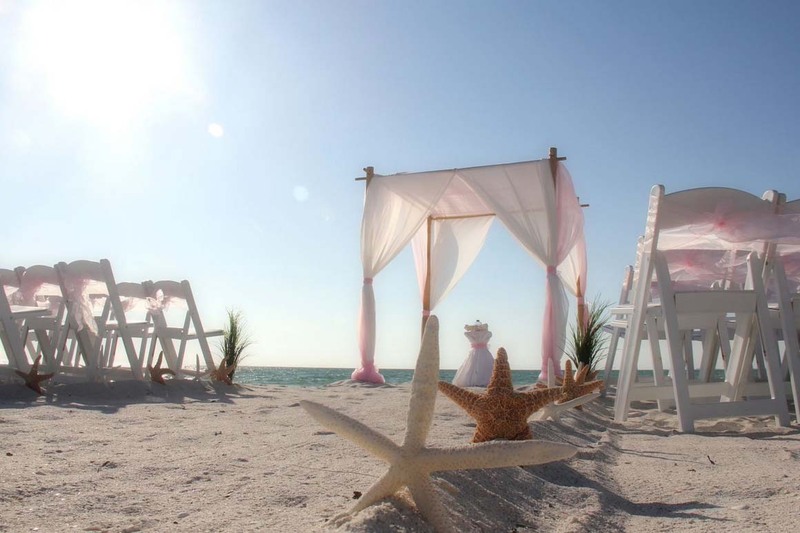 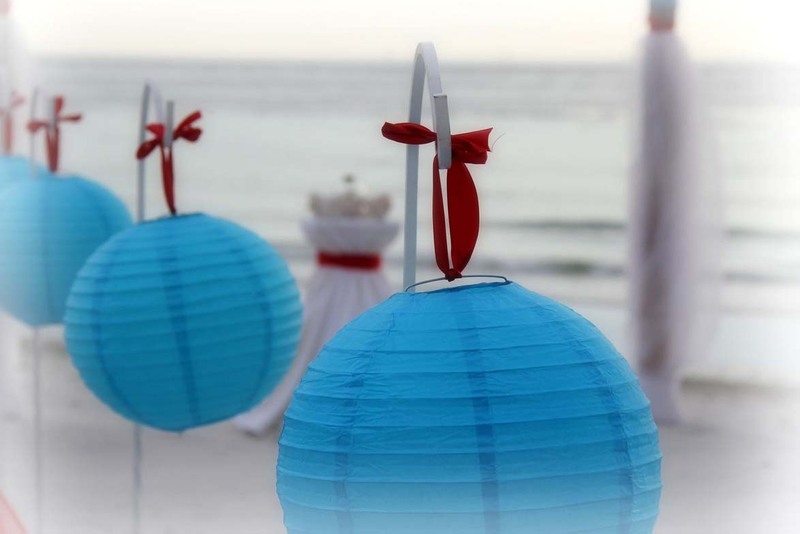 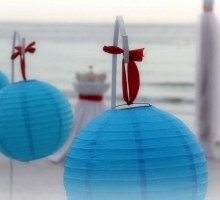 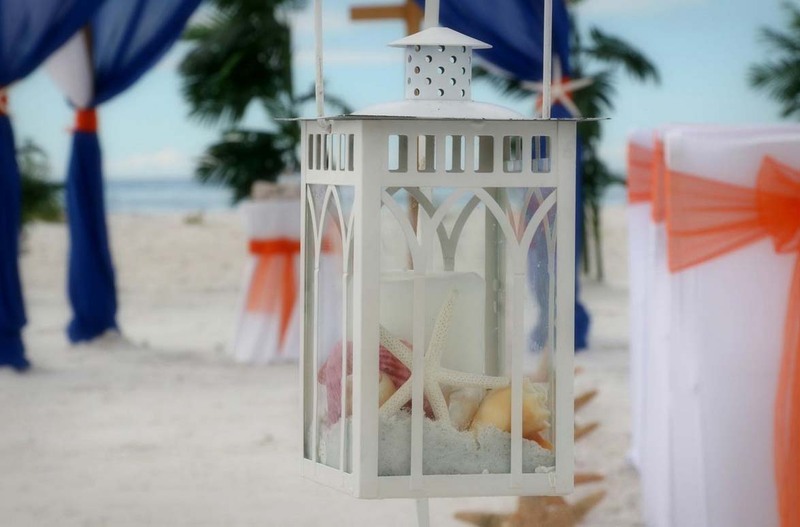 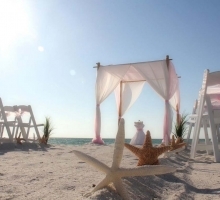 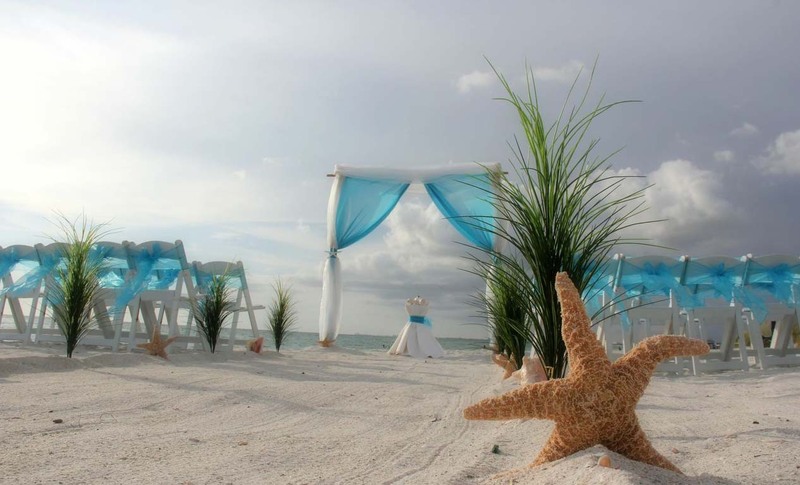 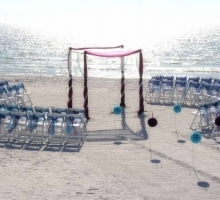 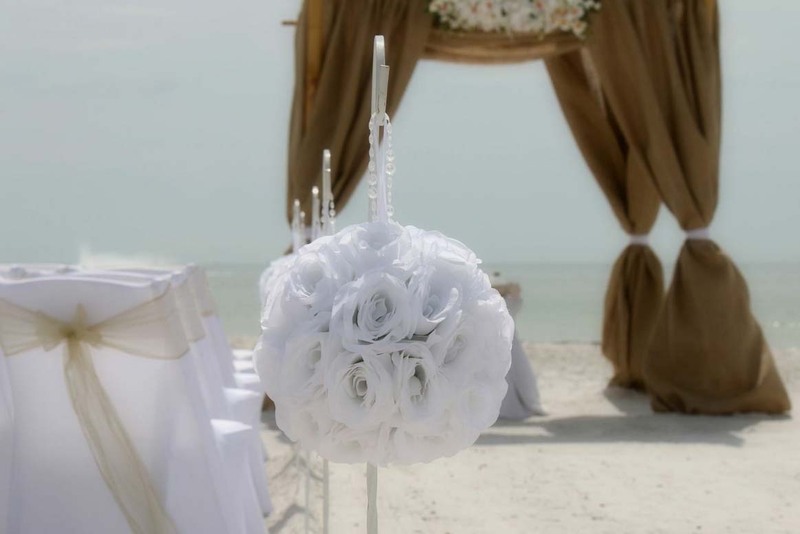 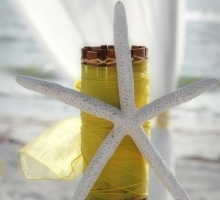 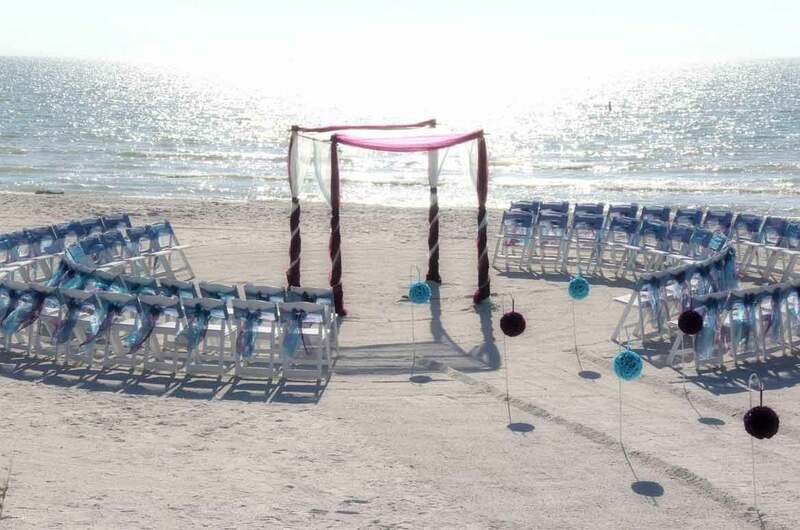 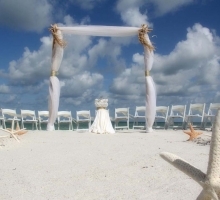 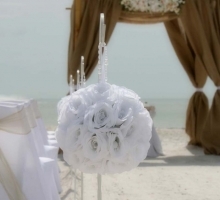 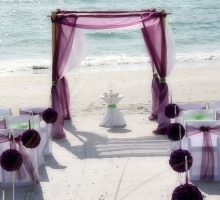 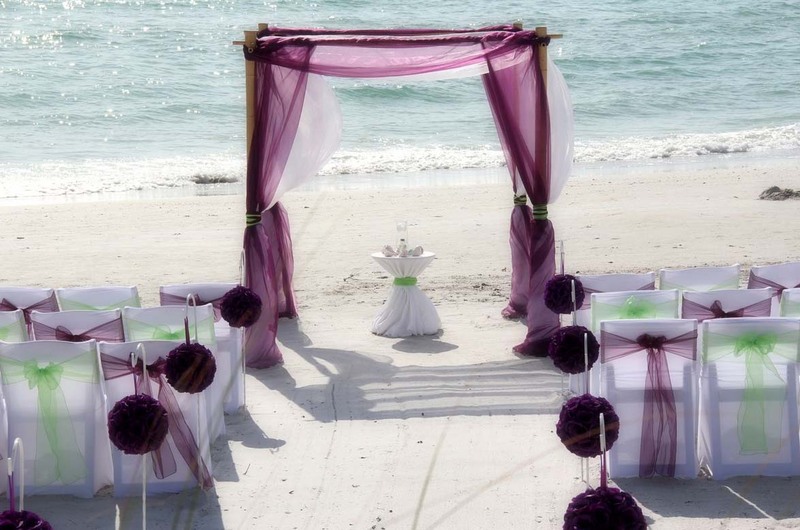 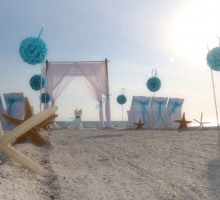 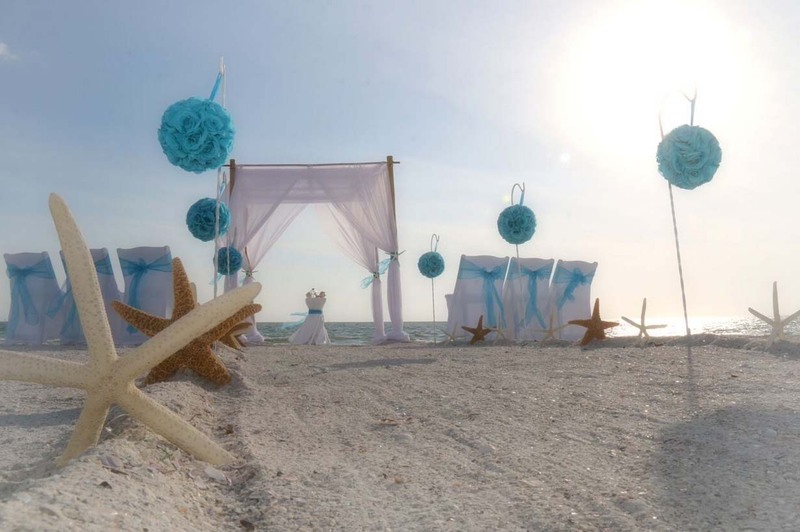 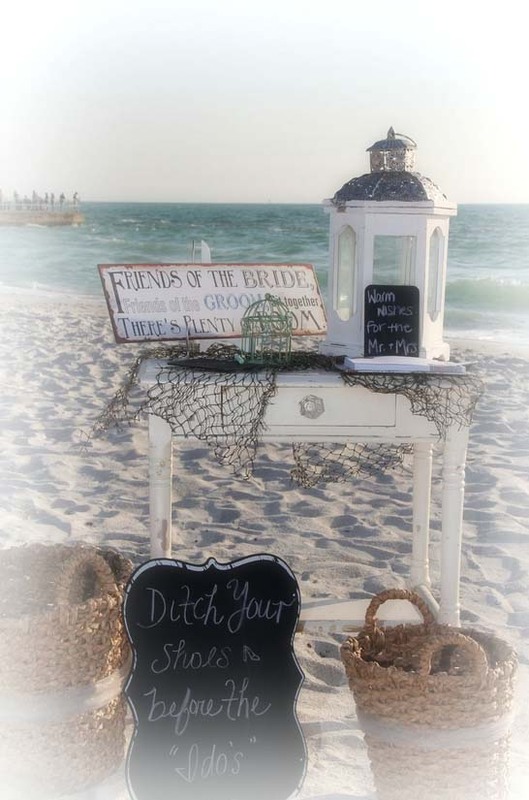 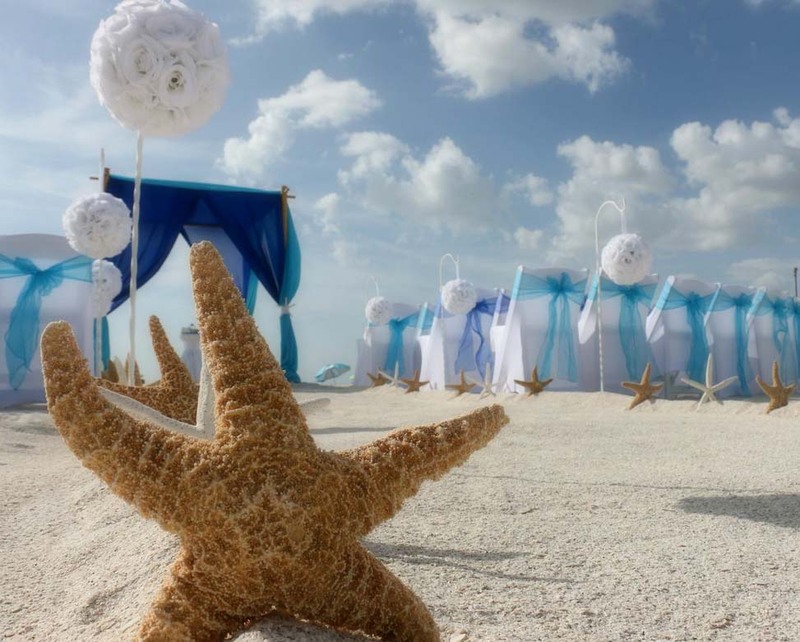 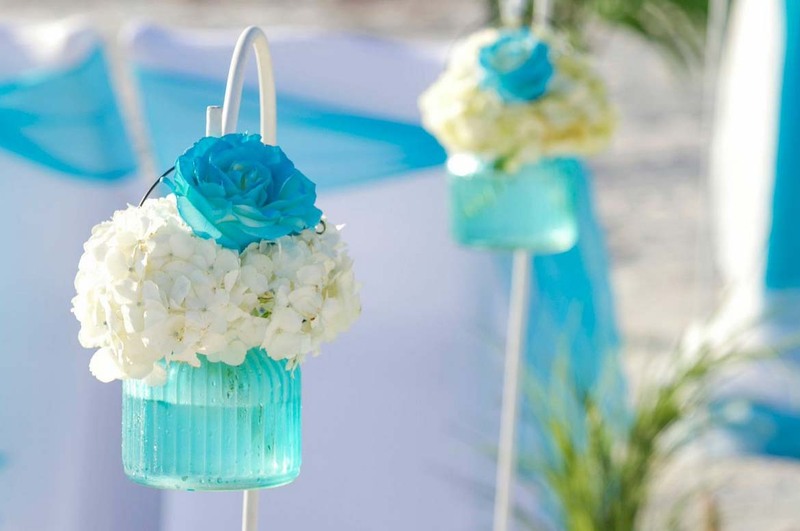 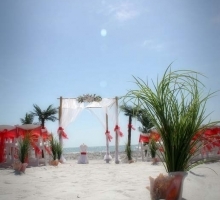 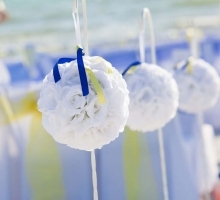 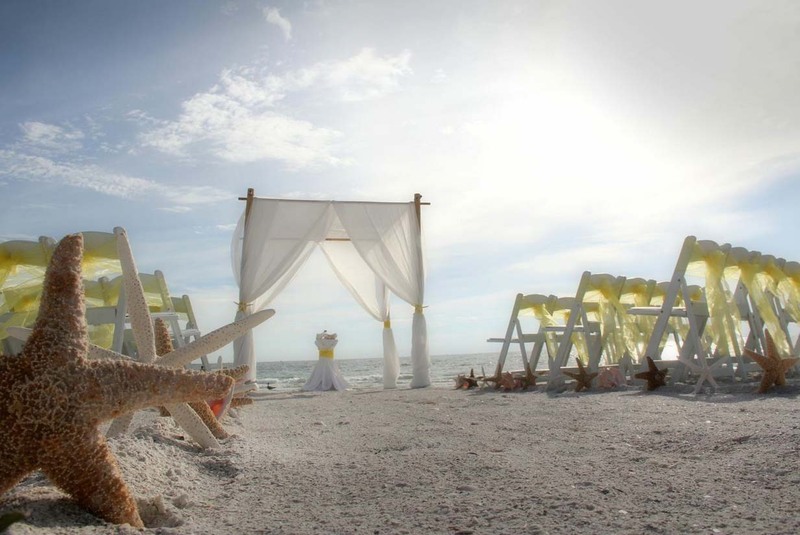 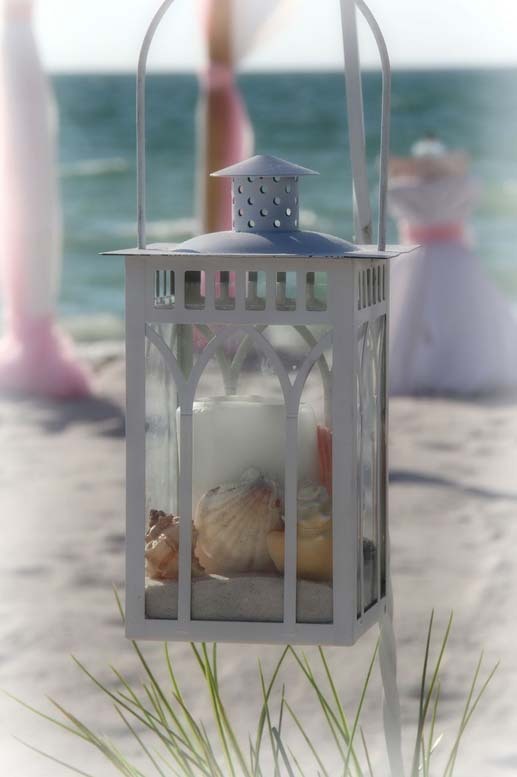 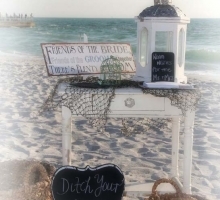 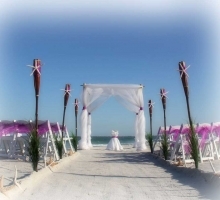 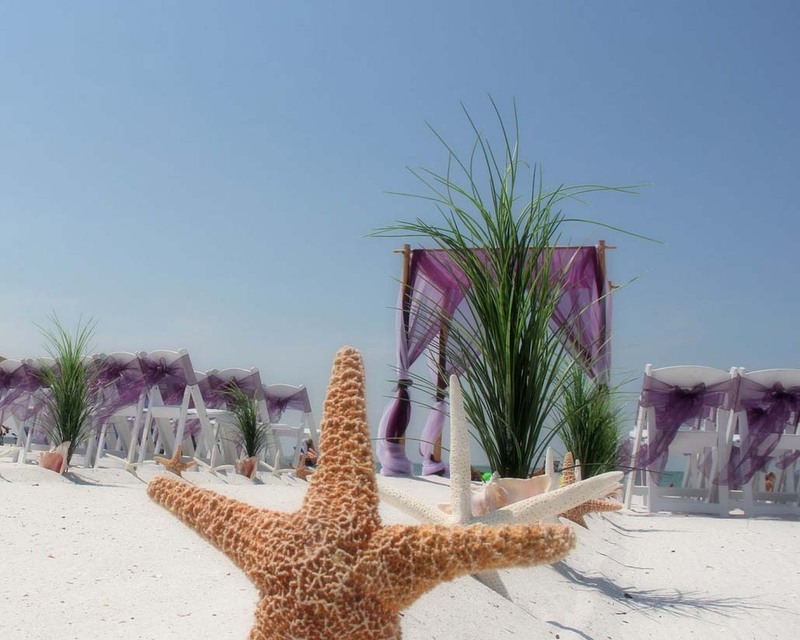 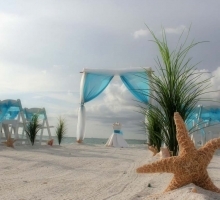 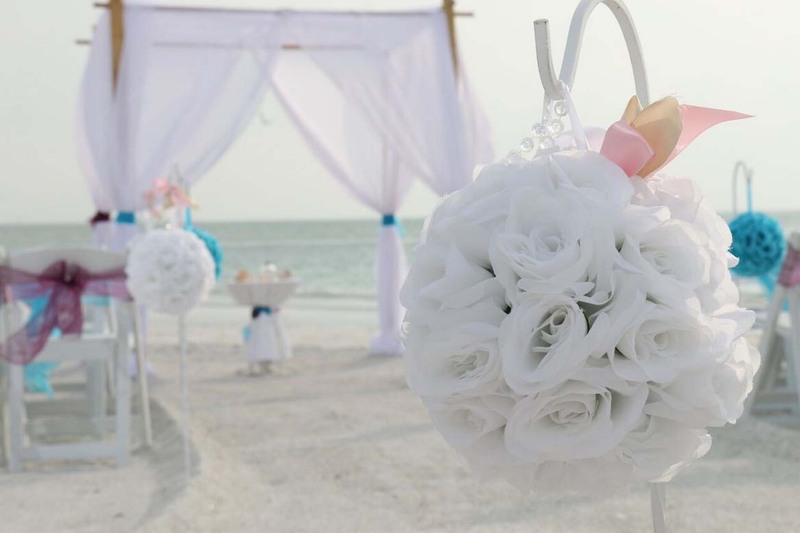 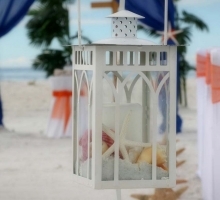 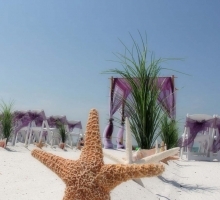 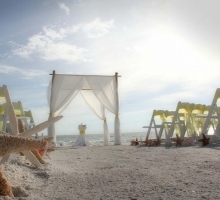 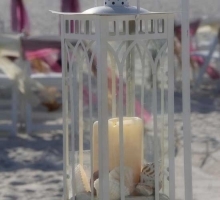 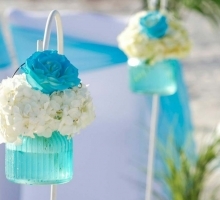 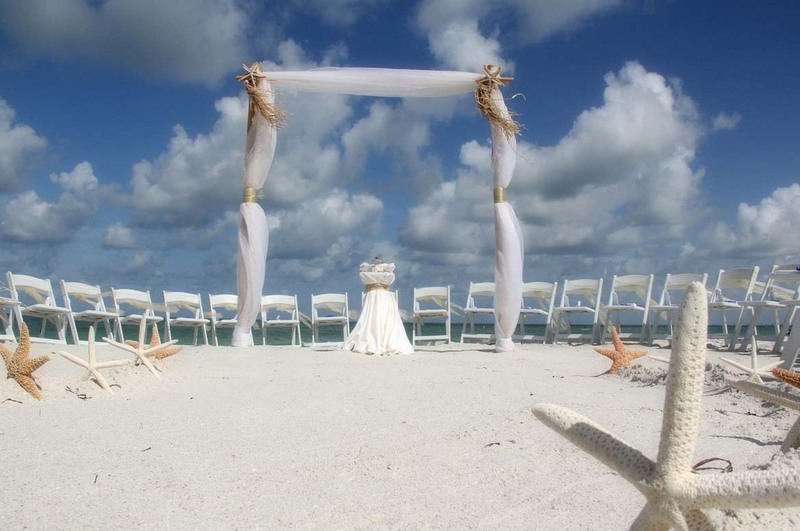 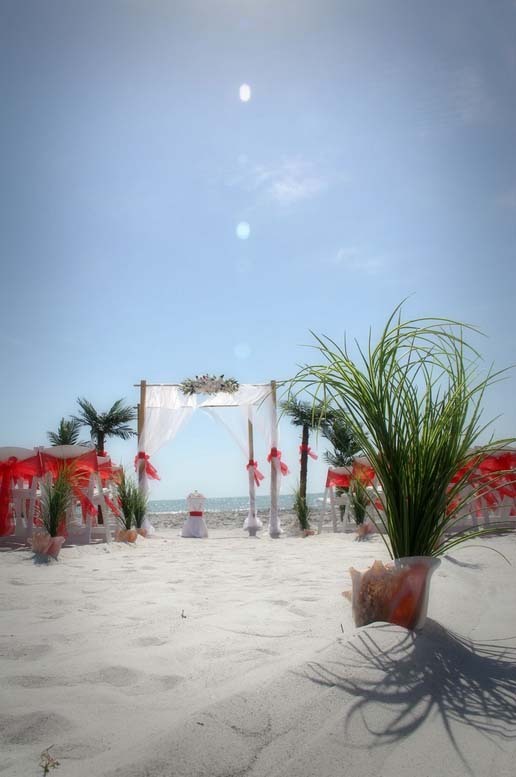 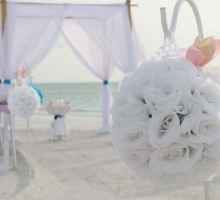 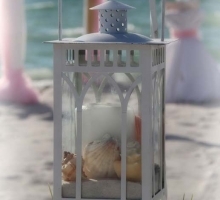 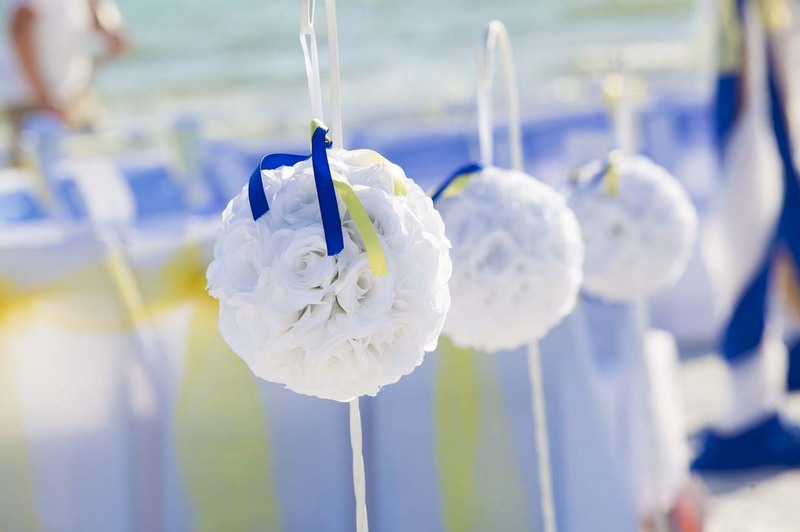 Here are some ideas showcasing our famous Suncoast Weddings attention to detail.